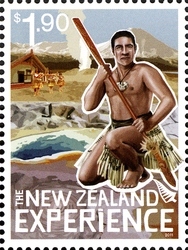 In 2011 New Zealand Post issued this six stamp set to promote tourism in this country. 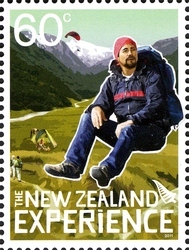 New Zealand has a wide range of landscapes which led to an equally wide range of activities for overseas visitors. The focus of this issue is to get out there, to see and do, to experience New Zealand. "New Zealand may be a small country but it has a whole lot to offer – from breathtaking scenery to adrenalin-pumping activities and a cultural experience like no other. And when you can drive from the ski slopes to the beach within 30 minutes, it’s easy to see why so many people flock to our diverse and picturesque shores. 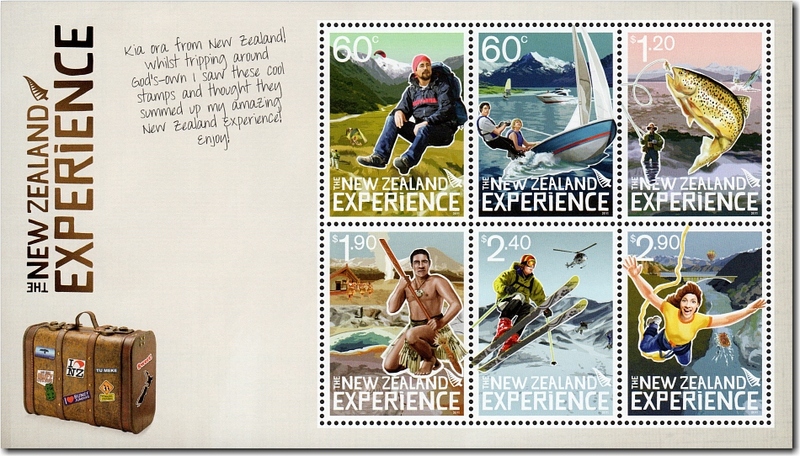 Take a closer look at the vast array of experiences to be had in New Zealand with the six gummed stamps in this issue." Personally, I really like this issue because rather than just being postage stamps, it set out to promote New Zealand using six attractive stamp designs that show six highlights of a journey through this country. We should be proud of our country and ready to get out here and showcase it to the world. Tell them what they are missing and they will come. 60c - The Great Outdoors. 60c - Water Sports. 60c - The Great Outdoors. New Zealand is home to 14 national parks and an assortment of stunning walking tracks. From the golden shorelines of Abel Tasman to the mountainous terrain of Aoraki Mount Cook, there’s something to suit everyone from the casual walker to the serious tramper. Living in a country surrounded by water, it’s no surprise that Kiwis love water sports. Whether they're jet skiing on Lake Taupo, windsurfing off one of the many beaches or relaxing on a luxurious launch, New Zealanders are always keen to get their feet wet! $1.20 - Fishing. $1.90 - Culture. 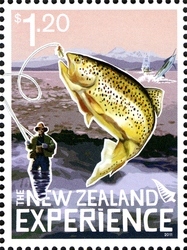 New Zealand is abundant with lakes, rivers and streams, making it perfect for a spot of fishing. Try big game fishing up north, trout fishing, or even whitebaiting. Even if you don’t catch anything, you’re sure to have had a relaxing experience on the water in the meantime. Māori culture is an essential part of New Zealand’s identity and history. As tourists trek around the country they’ll come across traditional Māori arts, the power of kapa haka performance and marae, and possibly even pick up some Te Reo Māori (the Māori language). $2.40 - On the Slopes. $2.90 - Extreme Sports. $2.40 - On the Slopes. 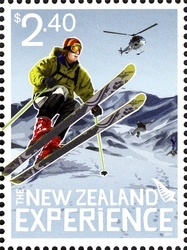 New Zealand’s world-class ski-fields attract snow bunnies and adrenalin junkies to the slopes every winter. From the Southern Alps and The Remarkables in the south to Mounts Ruapehu and Taranaki in the north, there are plenty of options to satisfy all types of snow-seeker. Ever since the world-famous bungy jump was invented in New Zealand, Kiwis have been known throughout the world as adrenalin junkies. Whether it’s white-water rafting, sky-diving or even zorbing, there’s sure to be something to get your heart racing! This is not the only tourist issue New Zealand has produced. In fact as far back as 1898 our first pictorial issue was produced with an eye to promotion of New Zealand overseas. 1898 - The First Pictorial Issue. 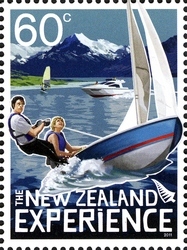 More recently in 2004 & 2006 there were two issues of Scenic Definitives that featured and promoted tourism as their main theme. 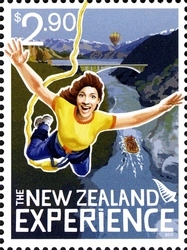 2004 - 2006 Tourism. I'm sure there are many others as well.